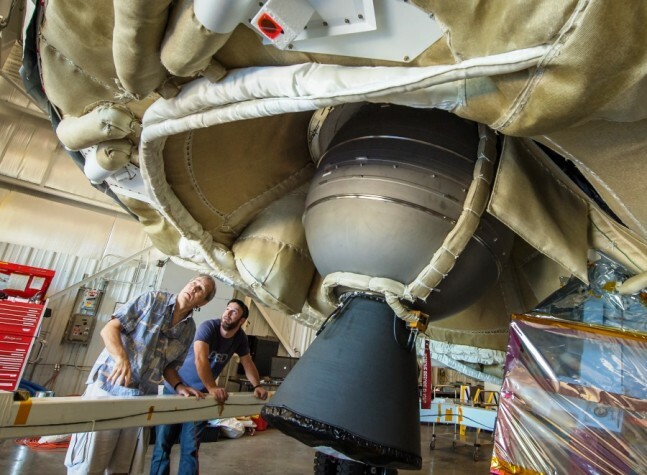 The National Aeronautics and Space Administration (NASA) has delayed the second flight of its Low Density Supersonic Decelerator (LDSD) until at least June 4. The cause of the delay was not a technical issue with either the vehicle or its high altitude balloon launcher. The seas in and around the splashdown area are too rough to safely recover the craft and so the delay was required. The best case for launch is now at 1:30 p.m. EDT (7:30 a.m. HDT). The LDSD is a technology demonstrator designed to help develop a safe landing system for larger payloads sent to other worlds such as Mars or Venus. Current technology such as the airbag technique used for Spirit and Opportunity or the sky-crane used for the Mars Science laboratory rover Curiosity simply cannot handle larger payloads such as future rovers or manned landers. 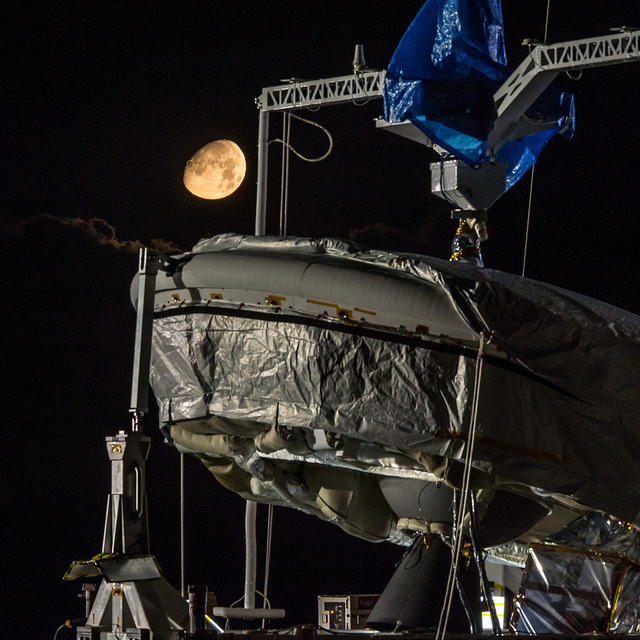 The LDSD will help engineers find better and safer ways of executing a soft landing. 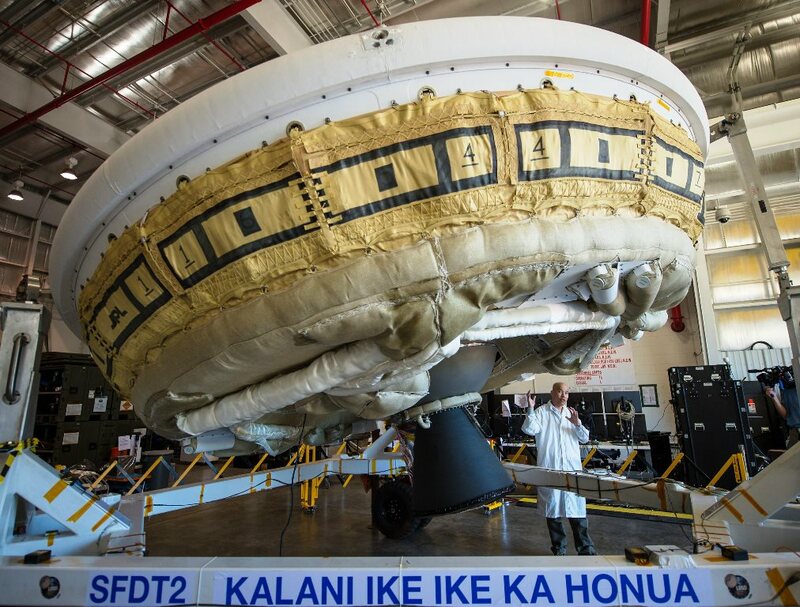 Launching from the Pacific Military Range Facility on Kauai, Hawaii, the LDSD craft will be carried aloft to an altitude of 120,000 feet (36,600 m) using a specialized high altitude helium balloon. Once the system is at altitude, the LDSD will be released and its main engines activated. The LDSD will then climb to an expected altitude of 180,000 feet (54,000 m) before turning back to the Earth to begin a high speed decent. The vehicle will accelerate to four times the speed of sound (Mach 4). The shape of the vehicle will help reduce the speed of decent to Mach 3 before LDSD deploys the inner-tube shaped decelerator ring. This system is designed to slow the vehicle to Mach 2.35 before the high speed parachute deployment – the core component of this test. Once the parachute is opened, the LDSD craft should make a gentle landing in the Pacific ocean. The first flight of the LDSD occurred on June 11, 2014 after many weather related delays. The recovery of the vehicle concluded a mission that involved issues with the parachute deployment. While the primary mission of deploying the decelerator ring was a success on that flight, the parachute failed to deploy correctly. The parachute shredded when exposed to the stresses of the high speed environment. For this second test, the deployment of the parachute is the primary mission, engineers having redesigned the parachute to better handle the deployment stresses. The LDSD is a joint collaboration of several NASA facilities. The Jet Propulsion Laboratory is the lead facility. Langley Research Center Wallops Flight Facility and Ames Research Center are all providing logistics and development support. Langley researchers and engineers will provide trajectory simulations during the flight operations. If for some reason the LDSD test flight cannot be conducted before the current launch window (which runs until June 12), NASA will reschedule the flight for the next launch opportunity – a ten day window starting July 7.